If you’re looking for broadcast experience, look no further than Randy Pierce. Randy brings more than 40 years of radio know-how to Joy FM. Without exception, he is a learning machine in motion. 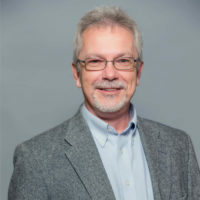 His many accomplishments include: graduating from the Professional Academy of Broadcasting (Knoxville), receiving his Radio Advertising Bureau Certified Radio Marketing Consultant accreditation, and becoming a proud graduate of The Timothy Project. Then there is the application…Randy’s influence has permeated on-air, engineering, radio sales, and more. In fact, his skills in both copy and production have produced more than 20 Tri-Cities’ Advertising ADDY Awards, plus, five nominations and four honors for Gospel Music Association and Christian Music Broadcaster “Station of the Year” awards. If that’s not enough for you, then we don’t mind sharing that Randy was recently promoted to Vice President of Underwriting for Joy FM’s parent company, Positive Alternative Radio (PAR), while continuing to serve PAR Services Partners in a leadership capacity…he’s a real go-getter!